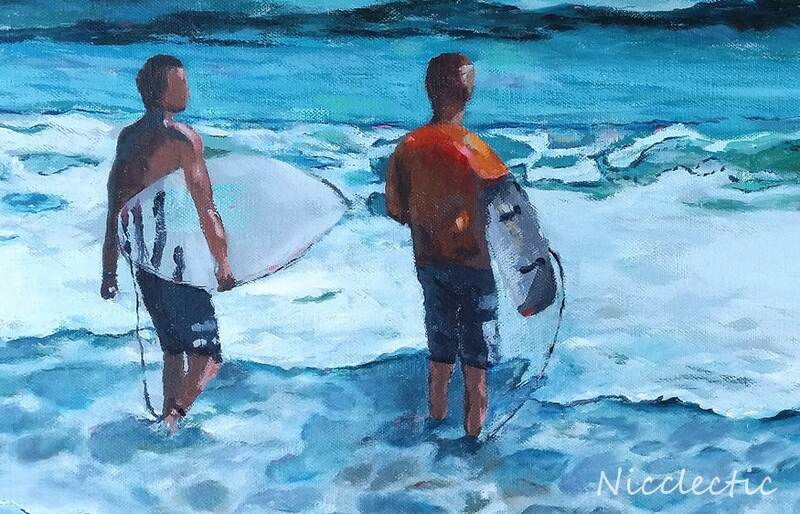 Surfers intrigue me. 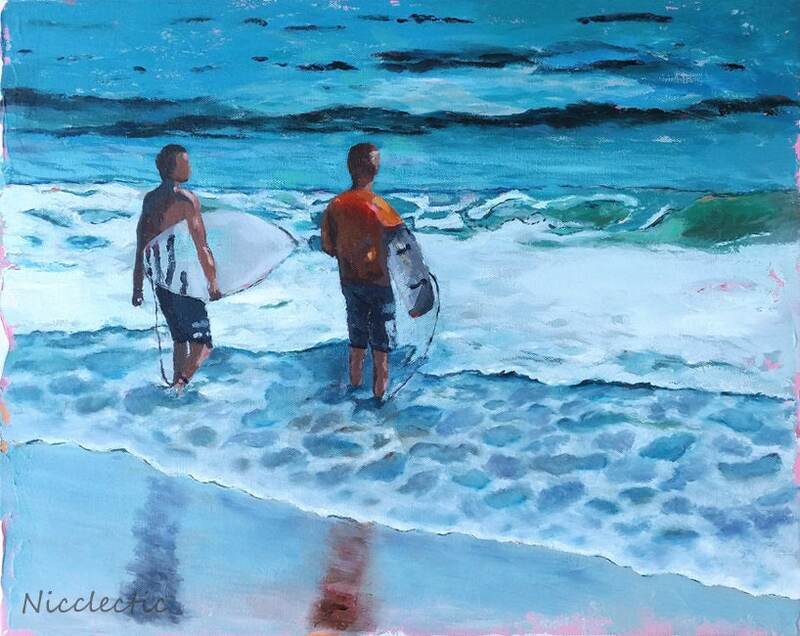 I find both their dedication to their craft as well as their patience waiting for the perfect wave inspiring. I snapped a photo of these two guys heading into the water on the coast of North Carolina. This is a large art print of an original painting of mine. It is printed on heavyweight paper. Image size is approx. 11.2" X 14.2" to put under a mat, plus a white border for framing. Print will be signed!